Who has cable television anymore? Not us. And while we admit watching cable on our parents’ big-screen TV over Christmas break has its perks (channel surfing is truly a lost art), when it comes to catching up on our favorite TV shows, nothing beats the convenience of streaming them on our smartphones, tablets, or laptops — anytime, anywhere. So when we heard we’ll be able to stream the 2018 Oscars ceremony, we cleared our schedules and started making a list of people to thank (God, ABC, and the Academy, of course) for showing love to movie fans without cable packages. Given the dramatic twists and turns of 2017’s Academy Awards ceremony, we don’t want to miss a minute of this year’s Oscars telecast. In case you need a refresher, 2017 Best Picture presenters Faye Dunaway and Warren Beatty — who are back to present the same award this year — announced the wrong winner in an epic envelope mix-up. And with Hollywood still reeling from revelations of industry-wide sexual misconduct perpetrated by powerful men like Harvey Weinstein, who knows what stars will say when they accept their awards on stage. The 2018 Oscars, hosted by Jimmy Kimmel for the second year in a row, kicks off Sunday, March 4th at 8 p.m. ET/5 p.m. PT on ABC. However, the star-studded arrivals begin way before that. The Oscars Red Carpet Live streaming pre-show starts at 5 p.m. ET/2 p.m. ET. Hosted by People and Entertainment Weekly, the pre-show will be available for streaming on PEOPLE.com, EW.com, InStyle.com, Time.com, Facebook Live, and YouTube Live. ABC’s own red carpet coverage begins at 6:30 p.m. ET/3:30 p.m. PT, with the 2018 Oscars telecast starting right after that. Here are all your options for streaming the 2018 Oscars ceremony. ABC subscribers in select markets can watch the show by logging in to ABC.com or the ABC app with their user names and passwords. So, if you live in Chicago, Fresno, Houston, Los Angeles, New York City, Philadelphia, Raleigh-Durham, or San Francisco, you’re all set. You can also watch the 2018 Oscars via Hulu Live TV, YouTube TV, Sling TV, Playstation Vue, and DirecTV Now. Basically, any of the live internet TV services that include ABC in their packages will stream the Oscars in real time. But you must be a subscriber. So, make sure your account’s credit card information is up-to-date and check your WiFi connection. Streaming services FTW! 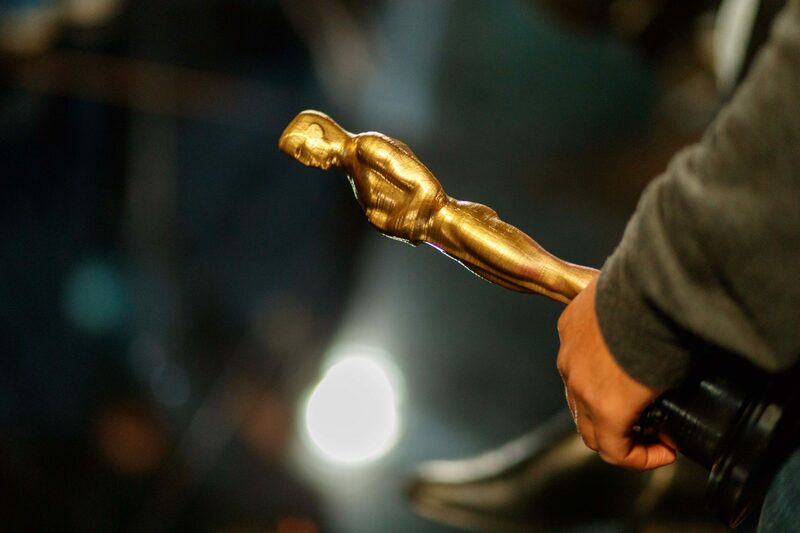 In addition, ABC’s “The Oscars: All Access” programming will be available to stream via Facebook Watch, the Academy’s show page, ABC Television Network’s Facebook page, Oscar.com and ABCNews.com. As you can see, there are tons of options for streaming the 2018 Oscars ceremony. The only thing left to do is have your Oscars-themed snack menu ready to go — and place your (friendly) bets on which flick will take home Best Picture.